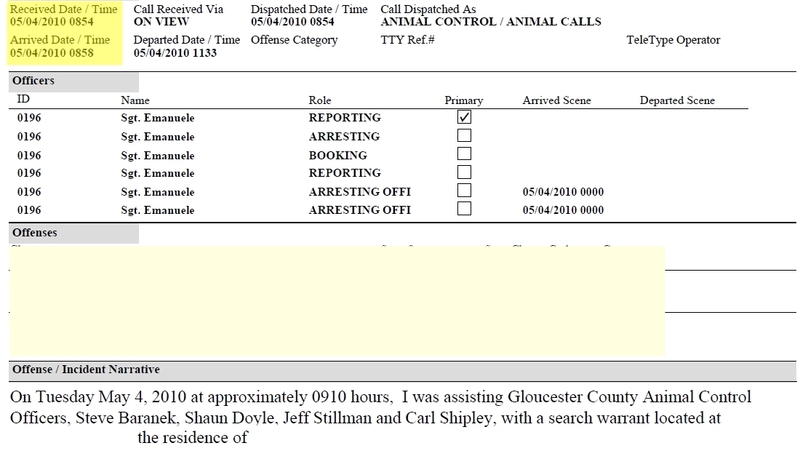 Gloucester Animal Control With More Fake Evidence? I have to make this statement before going any further. If one digs enough, one can always find fault in any legal case. Overall a legal case should be very sound despite fault being found. In this particular case, I continue to find so much fault and so little sound evidence from where I am looking that one can not help but to trounce all over it. The above audio is four minutes and thirty seconds long. 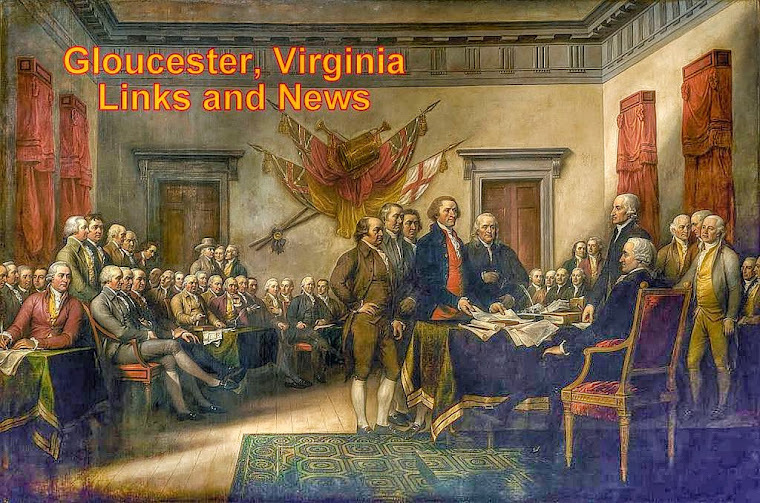 Using Gloucester County's own documents, we see some very serious issues here that can not be ignored. This is audio file DW_0152 and was produced by Steve Baranek of Gloucester County Animal Control. This audio was produced using a pocket digital recorder. The date of this audio is May 4th, 2010. The entire length of this audio track is one hour four minutes and fifty five seconds long. This exact file was used as evidence in a Gloucester County Circuit Court to prosecute the defendant/occupant of the home we have been reporting on. 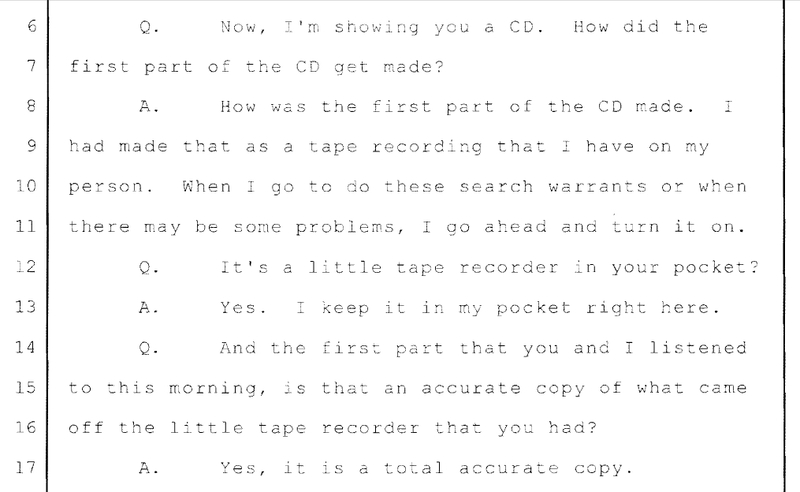 Below is a snapshot where Steve Baranek testifies in court that this recording is a true and accurate recording. (That also goes for the other audio clips we have already produced from this main audio). Keep in mind that Monique W Donner, Assistant Commonwealth's Attorney was well aware of this recording before going into court and she accepted this recording as evidence as did the attorney for the defense, Michael T Soberick, Esq. Now let's look at a section of Sgt. Paul Emanuele's Offense/Incident Report for this same case. When we listen to the audio recording above, Steve Baranek would have us believe he is driving up to the defendant/occupant's house. Steve states that the time is 9:06. (AM). 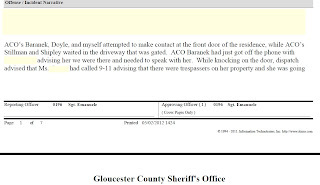 Now look at what Sgt Paul Emanuele states for the time of his dispatch and the time of his arrival at the residence. Sgt Emanuele states he was there at 8:58 (AM). 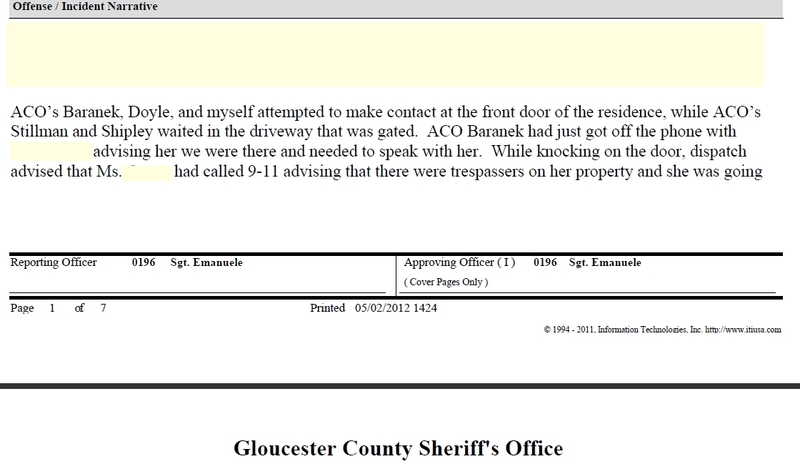 That means when Steve Baranek pulls into the driveway, he should have seen Sgt Emanuele's police car and Sgt Emanuele. Yet Steve never acknowledges seeing anyone in the audio clip above that is four minutes and thirty seconds long. But wait, Steve should also be meeting a number of other people there as well according to Sgt Emanuele. 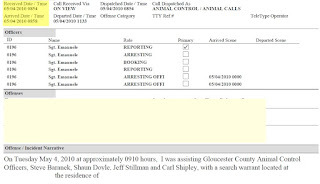 Steve should be also meeting Carl Shipley, Jeff Stillman and Shaun Doyle. Yet he never says anything either to or about these guys. How can that be? 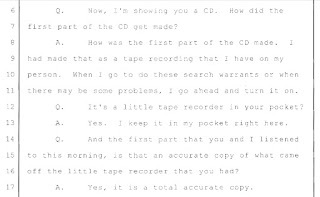 How can anyone possibly be expected to believe this recording unless Sgt Emanuele got his facts very wrong or maybe, the recording is a false and inaccurate piece of evidence? In our professional opinion, the recoding is very false and highly inaccurate. Our opinion is that the recording is so chopped and manipulated that it's not worth a thing as evidence for the county and should have been thrown out. These days most courts do not even allow this type of evidence into the court because it is so easy to manipulate the recordings. Now what I will tell you is that I did make a few minor cuts in the above recording. The cuts I made were to the personal information that I removed to protect the defendant/occupant of this case. I also cleaned up the sound track to make the audio easier to hear and understand. No other changes were made by us. Let's move on to the next issue. Steve Baranek starts to play with his phone and you can hear the phone keep repeating, “Say A Command”. That means you can hear what's going on through the ear piece of the phone. Yet, when he claims to be making a call, you do not hear anyone on the other side. I find that highly unlikely and believe he was faking the call. I would love to see the phone records for that call. The time of that so-called call took place was 9:09 (AM). The proof is on Animal Control to prove this call and time is accurate as it has to 100% match up with the recording for the recording to be a true and accurate record of events. Anyone care to bet that the county can not produce this evidence? Anyone care to bet that the county does not even try? Also, if you listen to the above audio very closely, you do hear a number of people in the background talking as well as their radio dispatches broadcasting. These are people Steve Baranek never acknowledge. Another issue, if Steve Baranek claims that he trimmed areas out of the recording because they were just not needed, well, then that is not a true and accurate record of events then is it. Further, if it could even possibly be imagined that the above call did take place, why didn't Steve Baranek state the reason why he was there? He was there with a search warrant? He had a legal obligation to state just that or his phone call could be considered nothing more than harassment. 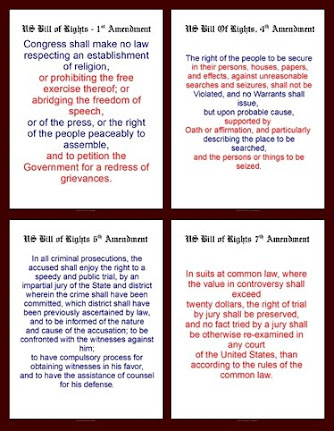 Are you seriously going to tell me that those who are charged with investigating and must do so with the use and tools of a search warrant is not trained in the laws of such? Could this possibly be evidence that the concept of a search warrant had not even been thought of yet? See the last article and ask yourself that exact question. So what we are looking at here, in our opinion, Steve Baranek's testimony is false and misleading and needs to be expunged from this case. The same with Holli M Cohoon's testimony. That only leaves Sgt. Paul Emanuele's testimony. In the future we will be re printing the entire 96 page court report. 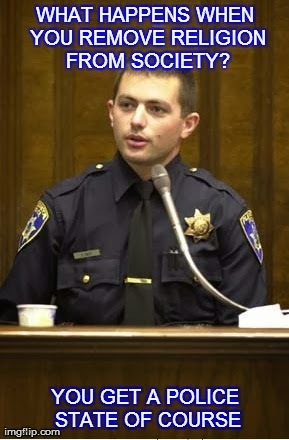 Sgt Paul Emanuele's testimony is pretty much nil and contributes about nothing to the case. The entire case needs to be thrown out and all charges removed in our opinion. We will elaborate on Sgt Paul Emanuele's statements and report in the future as this too has holes that are huge gaps. 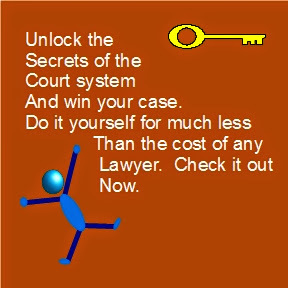 I can not begin to understand how Michael T Soberick, with all the same evidence we both have and have looked at, could not begin to see any of these issues? Or did he and he just didn't do anything about them? Did he throw his client to the wolves? Come on now. Mr Soberick is a highly esteemed Gloucester County attorney. It's like we said, this case has more turns and surprises around each corner than you can ever possibly imagine.